Actor Lee Min Ho, who came back to dramas after a one-year break following the KBS TV drama “Boys Over Flowers,” revealed his ambition of obtaining a "favorable evaluation for splendid acting" on his new MBC TV drama “Personal Taste,” which will broadcast its first episode on March 31. The drama “Personal Taste” tells exhilarating stories about two characters. An easygoing woman, Park Gae In (Son Ye Jin), wants to have a gay male friend, and a charismatic man, Jeon Jin Ho (Lee Min Ho) is mistaken by her to be a gay man. These two create entertaining stories while they are living together. 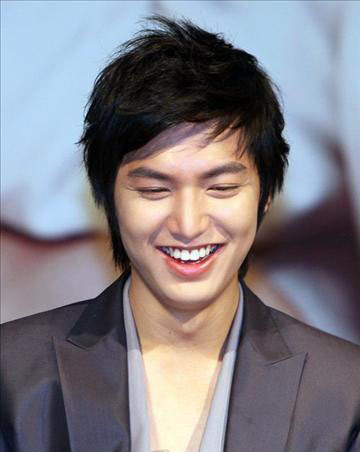 Lee Min Ho entered stardom with “Boys Over Flowers,” so it is natural that he feels stress about the viewer ratings for “Personal Taste” which has to compete with other outstanding dramas such as “Cinderella’s Stepsister (KBS)” and “Prosecutor Princess (SBS)”, which will air its first episode on the same day. You did a very great job Lee Min Ho! You should do more of these series, there are lot of fans waiting out there! Kudos! Lee Jun-ki to star in new TV series "Faith"